I recently received an email from Mrs Susan Dove who is the daughter of Mr L.J.Wildash who was the art master at West Mon. Unfortunately my over-enthusiastic mail filter put the email into my junk box where it has been languishing until I discovered it today when looking for another expected email which has not yet arrived. I always try to include on this blog all points of view and, when looking back over 50 or 60 years, our memories can suffer in the matter of accuracy. The memories of both Eric Smith and myself did in the matter of the site of the Peake’s bus crash which I later corrected. Therefore I print below the full email I received from Mr Wildash’s daughter Susan. “I refer to the email from an elderly ex-pupil that you have published regarding the unfortunate tragedy at West Mon School in 1947. You must be aware that confused and traumatised children will remember different aspects of a tragedy, not always accurately. Add another 60 plus years, and I must now correct the fiction that you have allowed to be published worldwide on the internet. My father, L J Wildash was the very talented Art Master at West Mon School. Contrary to what you have allowed to be published, he COULD swim. He was a very strong swimmer and also very fit. Besides being an artist he was a sportsman, with silver cups to his name. No headmaster would allow a non-swimmer to be in charge of a swimming class! The picture of my father as a non-swimming wimp doing nothing is almost libellous. If he had not been so fit, both boys would have drowned. He was exhausted AFTER his attempt to save the lives of the two boys. Before working at West Mon School my father saw active service during the war, and was chosen to go on special assignments. His nature was always to protect others from danger. He was a very brave yet sensitive man. To see him vilified by incorrect memories is deeply unfair. It must not be overlooked that the Coroner said that without my father’s actions, both boys would have drowned rather than one. As you can imagine, he was traumatised by the whole tragic accident, and although he was asked to stay on at West Mon School, which he loved, the tragedy was too much for him and he and his family left Wales forever. A short time ago a friend gave me a copy of Brian Jenkins’ book “Mill Road” which was published in 2008. The author is about ten years younger than I so that he would have been about two years old when I started my daily five-year trek from Wainfelin to West Mon School which took me very close to Mill Road on my way to the bridge over Clarence Street station which led into Blaendare Road and thence to West Mon. I well remember the sight of the refuse tip, the gas works and the little houses down below as I walked along the pavement. 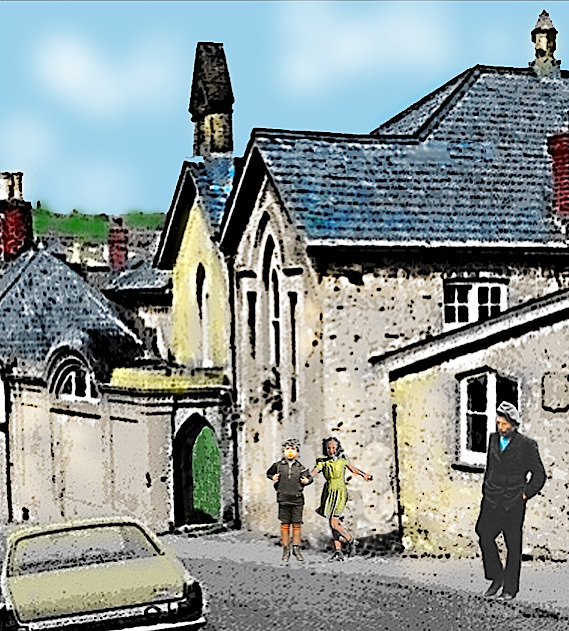 Trosnant was well known to the people of Pontypool as the poorest and most run down area of the town. Brian describes the house at number 14 in which the family lived; the Gas Board cottage had no electricity or bathroom and looked out at a rubbish tip. It so happened that I was to become well informed about living in Trosnant by my friend, John Payne, who came to live next door-but-one to us in School Lane. John’s family had been living in one of the larger houses in Trosnant and his father worked for the Gas Board. After completing the building of Garfield, Harry Vickery, the builder of Penywain Street, put up a pair of semi-detached houses in the field which bordered our house. I noticed that when the Paynes moved in they named their house “Trosnant”. There was a certain degree of snobbery amongst some of the people of Pontypool who looked down their noses at the inhabitants of Trosnant. I could never understand this because John and I got on so well and spent many hours playing together. In those days the baker’s van was a common sight and many people had their daily loaf delivered to the door. This was the case in School Lane. At the top of the lane were about a dozen or so quite large houses which were well built villas. One was occupied by a well known solicitor with a practice in the town. On one occasion the baker could not get an answer at this house when trying to deliver his loaf so, as the Payne’s also bought bread from him, he asked them if he could leave the loaf at their house to be taken further up the lane by John later on in the day. John asked me to go up with him to deliver the loaf. The lady of the house answered the door and John explained that the baker had left her loaf at “Trosnant” to be delivered later. The lady looked shell-shocked as her eyebrows reached for the sky. “Trosnant!” she echoed. “Why was it left at Trosnant?” She could hardly believe her ears until John quickly explained that it was the name of their house further down School Lane. This attitude was typical of some people in Pontypool. “The story takes us through the trials and tribulations of life growing up in the South Wales valleys, with the successes and failures of school, college and work, interlinked with the joys and sadness of family life. We meet an array of wonderful and diverse characters. 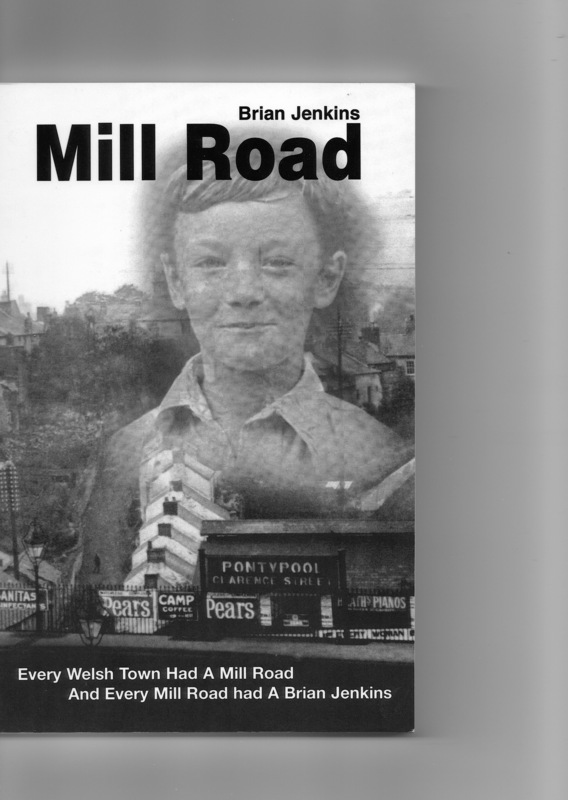 When the book was published Brian was living in Coed-y-Cando Road, New Inn. When I’d read the book I tried to find his phone number to ring him up to congratulate him on his book but I think he must be ex-directory as I failed to find his number. 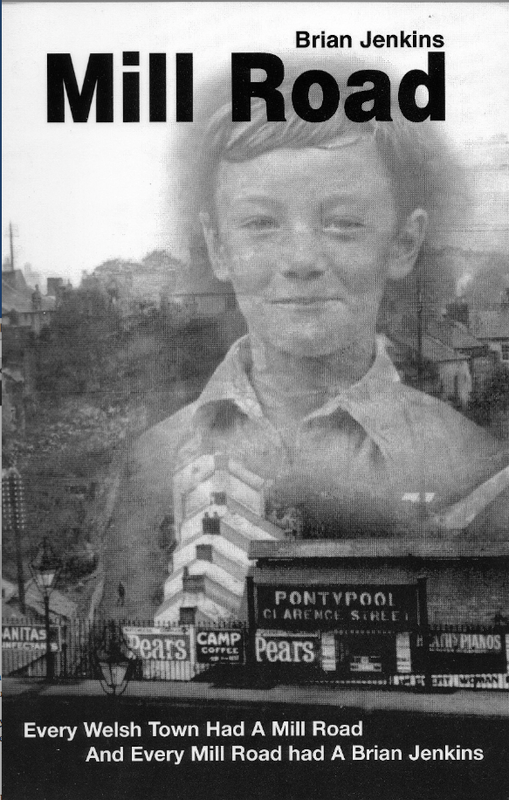 The book is what is generally referred to today as a human interest story and I can thoroughly recommend it to visitors to this blog who have an interest in Pontypool’s past.